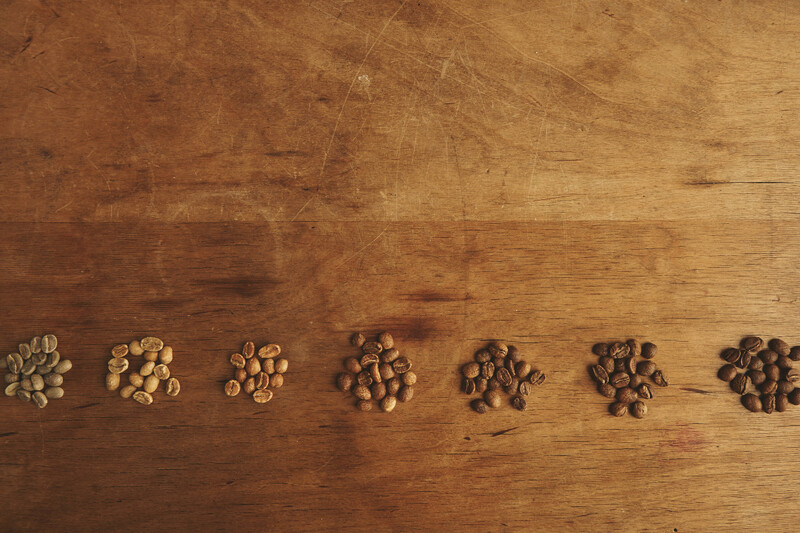 You are here: Percolated.co.uk » Guides » How are coffee beans graded? People grow coffee in over 50 countries. Altitudes, drying methods, varieties, and cropping skills influence the quality of the shy green beans that will determine the deliciousness of your cup of coffee. To make the best coffee you need to source the best beans, and everybody knows that. What you might not know is the almost scientific, and time-consuming method behind coffee grading. There are many approaches to grading coffee by quality. Every country has its own rules and rites. But premium coffee, more often than not, is graded using the Speciality Coffee Association grading method. This standard classifies coffee grains in five ranks. You have to classify the beans while they’re green. Unprocessed beans are sorted first by size. And yes, size matters. Experts agree that larger grains are more flavorful than smaller ones; the best usually come from high elevations where the plants struggle a bit more. Once sorted, graders with a sharp eye meticulously examine a 300-gram sample spread over large tables dressed in a black mat. So, what are they looking for exactly? Defects. It turns out some defects, like sins, are graver than others. Primary defects like blackened beans, sour beans, or deadhead sticks and stones are unacceptable for finer categories. Secondary defects include broken beans, insect damaged grains and “floaters”, and are tolerated to a point. The number of defects in the sample and the types of defect decides the overall score of the beans, but before giving a score, the beans’ potential must be assessed. Experts micro-roast the beans and brew them to make a good enough amount of coffee ready for cupping. Connoisseurs use small, spoon-like vessels to smell and taste the coffee and test its flavor profile. A good body, proper acidity, a wide range of aromas, all add up to get a high grade. Now it’s time to grade the coffee. This is the good stuff, no primary defects, and a maximum of three secondary faults. No quakers, a uniform size, and distinctive flavor profile. La crème de la crème, premium quality producers and top brands. Expect to pay a premium for these. What are quakers? Beans that under-perform during roasting, usually light coloured and tough. Fantastic quality, with up to eight defects and 3 quakers. Find these in quality brands, speciality coffee shops, and gourmet stores. Varied in size and with up to 23 defects. 5 quakers allowed. Commercial blends and indistinct everyday coffee brands source these. 24 to 85 defects found. Not much more to say here. Over 86 defects in a 300-gram sample. Avoid at all costs. With coffee, like with many other things, you usually get what you pay for. And most major brands source only highly graded beans. Coffee is a competitive market after all, and we expect quality at all price points. Now you know, lots of dedicated people are behind your cup of latte, making sure you get the most out of each sip.